The Opposition of Big three plan by BCCI, England and Australian boards continues to increase and more with each passing day. Former Cricketers, Experts and Cricket fans are raising voice against Big three plan on every platform. 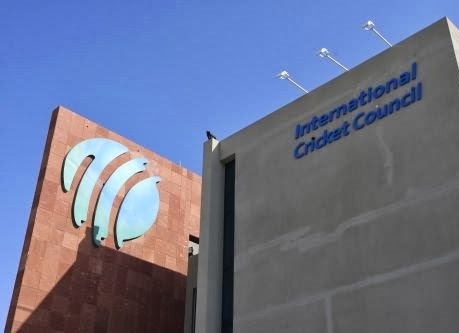 International Cricket Council meeting is taking place today In Dubai where the draft proposals will be discussed and Indian, English and Australian Cricket Boards will try hard for the approval. If the proposals got approved then International Cricket will change forever. Indian, Australia and English Boards will rule the International Cricket. they will get the veto power and most revenues for next 8 years. This thing will badly damage the Cricket specially for Pakistan, South Africa, Sri Lanka, Bangladesh, New Zealand and West Indies. Former ICC President Ehsan Mani wrote a letter to ICC to withdraw the proposal. Pakistan, Sri Lankan and South African boards have also made the same demand. former Pakistani fast bowler Shoaib Akhtar said that If the proposal got approved then It will be destructive for many Cricket Playing nations. Former Captain of English team Michael Atherton have also demanded for the withdrawal of the proposal. He said it will give control of International Cricket to three boars which is completely unjust. On Monday some unknown Bangladeshi hackers also taken down the BCCI website to register protest against the proposal. however Bangladeshi Board itself Is silent on the issue because of some secret offer from BCCI. Lets see what stand different Cricket boards takes on this Issue today.